Because he is the best! And I’m saying this before the EURO final, because the midfielder demonstrated why he is a class over Cristiano Ronaldo or Messi. Alright, those two have certain qualities on and off the field, but none of them proved that they can fit in every team they are playing. To be part of what is probably the best team ever, Barcelona from our days, helps Messi a lot to show off his native talent and his brilliant appetite for playing football in any conditions and in any circumstances. That’s why he scores more goals in the 2011-2012 than everybody have did before. Like him, Cristiano Ronaldo enjoys his hard work and talent on the field where, indifferent alongside or against whom he plays, he is in the main focus of the spot lights. Because he is special! Both won the Champions League, competition in which their contribution was often substantial, but with Barcelona, Manchester United, or Real Madrid anybody could win this trophy. 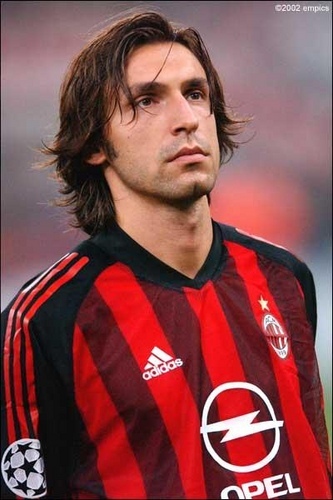 Including Andrea Pirlo, who achieved it twice alongside AC Milan in 2003 and 2007. The difference is that the Italian player which, by the way, plays often as a defensive midfielder, made also great impression with the national team of Italy. I don’t remember Portugal or Argentina winning an international trophy in the past years, even though Cristiano Ronaldo and Messi appeared at each major tournament starting 2004. In fact, the Portuguese only played a final in their history, at EURO 2004, but then, despite CR7 being a regular starter, Figo was the boss and the man who lead the team in the final act against Greece. So, for their countries those two done nothing so far. But Pirlo did, even though not many people remember. He was named third best player of the World Cup from 2006, despite being named in three different cases ‘man of the match’, the most from all players, including in the semifinal against Germany and in the final against France. In both matches he provided an assist and with the two given in the group stage, where he also netted once against Ghana, he gathered the necessary arguments for those who are looking now for the key man of Italy’s performance on German soil. 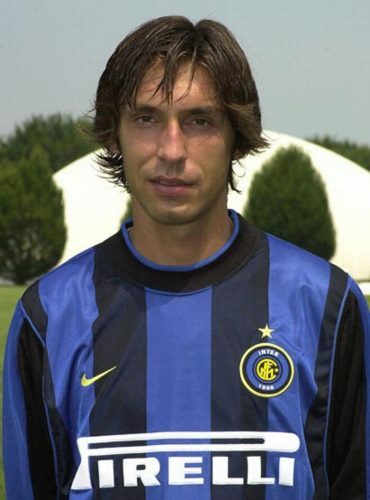 Pirlo was born on 19th of May 1979, in Flero, a small town of approximately eight thousand inhabitants from Lombardy and was promoted by Mircea Lucescu at Brescia a man which also transferred him at Inter in 1999, when he was put in charge there. Unfortunately, the Romanian coach didn’t last too much there and neither did Andrea, but for the midfielder all ended well as he went playing at AC Milan after only one season in which he was loaned at Reggina. In 10 seasons at Milan he won nine trophies, including two Champions League, one before the World Cup, in 2003, and one a year after, achievements which made him one of the most respected and beloved players from the squad, one of the most successful teams from last decade. But as Real Madrid did with Raul, for example, he was forced to leave the club at 32 years. Still, he wasn’t discouraged and signed with Juventus Turin, team which didn’t have many performances in the past few years. But Andrea played here 37 league matches, the most for him in a single year, scored three times and helped Juventus to win the first title since 2003. Just before the European Championship. I must recognized that Italy was always the only top national football team that I didn’t like, but this time I can’t resist to appreciate at maximum what Pirlo does on the field for his country. After World Cup 2006 he was also the man to open the road for Italy in the EURO 2008 quarter finals, where Italy was put out by Spain at shoot-out. 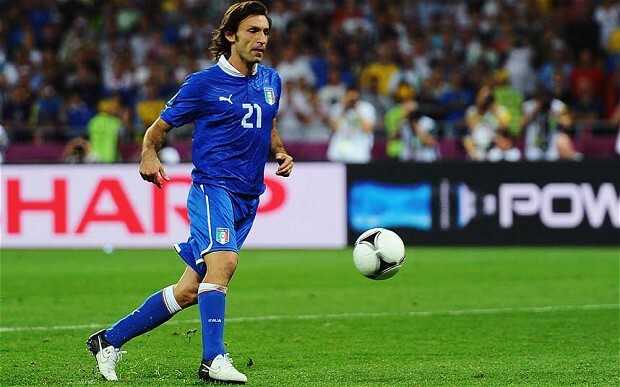 Pirlo didn’t play in that game. And neither did he play in the first two matches of World Cup 2010, where ‘Squadra Azzura’ finished level against Paraguay and New Zealand, ending last in the group in what it was the worst ever Italian performance at such a competition. But he did play at this tournament and how great did he done that! A goal, two decisive passes and 34 balls won from the boots of the opponents, the most from all players, and a ‘Panenka’ type spot kick in the quarters against England ensured Italy a well deserved semifinal with Germany. Here, Balotelli was the main hero, but let’s not forget that Andrea Pirlo saved a ball from the goal line at 0-0. Do you still think that he hasn’t got any contribution after this encounter? What happens next is not really important, because in many cases the best player came from the team that lost the final, like did Ronaldo (1998), Kahn (2002), Zidane (2006) and Forlan (2010, from a team that didn’t even reach the last act). You may say that all of those were World Cups. You are right, but in this case is the same story. I can’t imagine that a player can do more in the final, even though Spain will win the title and even though the opponents’ names are Xavi or Iniesta. 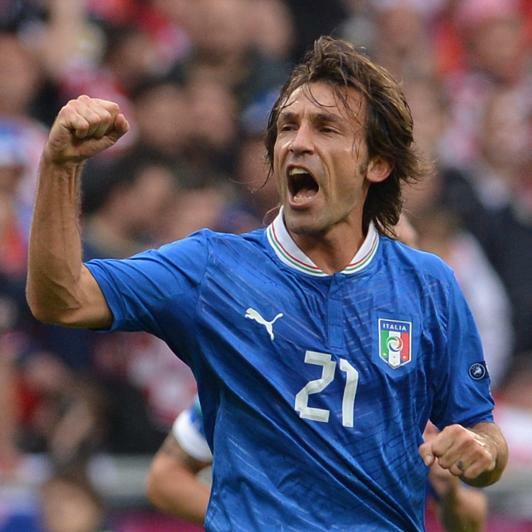 It doesn’t matter, because Pirlo made a perfect tournament. Nicknamed ‘The Architect’ he is considered a silent thinker by Cesare Prandelli, his coach, who said: ‘He thinks with his head’. Surelly, he does that and only that, because after a match or before one, nobody hears and talks about Andrea. Despite he won 10 trophies at club level. 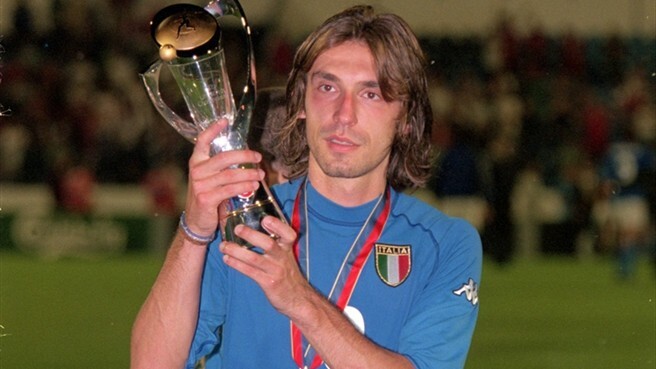 Despite being World Champion in 2006 and despite playing more than 80 matches for Italy. At 33 years he couldn’t say that he is a media person, even though he could easily be. Maybe that’s the key difference between him and Cristiano Ronaldo or Messi, because between Portugal, Argentina and Italy isn’t such a value gap. Acest articol a fost publicat în Campioni și etichetat 1979, 3 goals, 37 matches, AC Milan, Andrea Pirlo, Argentina, Brescia, Cristiano Ronaldo, EURO 2008, EURO 2012, Inter Milan, Italy, Juventus Turin, Lionel Messi, Mircea Lucescu, Portugal, World Cup 2006, World Cup 2010. Pune un semn de carte cu legătura permanentă.